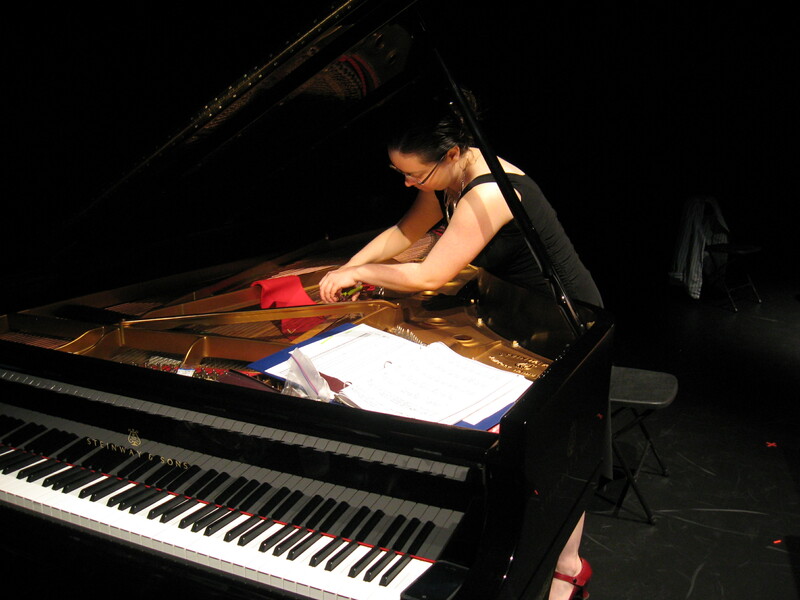 An Interview with Vancouver pianist Rachel Kiyo Iwaasa | Oak Bay Music: Chamber Music Concerts Victoria B.C. At the end of March, I phoned with Rachel Iwaasa to discuss her fascination for Bach’s Goldberg Variations. 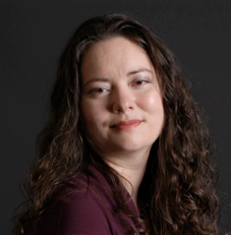 Rachel will be performing the Goldberg Variations on April 19 at Oak Bay Matinee. Erik: Can you tell me why you chose to perform the Goldberg Variations? What is your personal attraction is to this work? Rachel: The Goldbergs are kind of the Everest for piano. It is one of those pieces that, particularly for Canadian pianists because of Glenn Gould’s legacy, one of those pieces that every pianist who likes to perform Bach have on their bucket list. It is so monumental. Glenn Gould’s legacy and his ghost are so powerful that can make working on this piece quite intimidating. But, for the same reasons, the piece is also very seductive. It’s a massive work, a terrific challenge, something I always wanted to play. Erik: The Goldberg Variations is basically a theme and variation piece, right? Rachel: It’s a fascinating work in its construction! The theme and variation is a simple premise. One takes a melody, and repeat it over and over, but transformed each and every time. Very often the theme is taken from another composer, in this case Stöltzel. For many years it was thought to be by Bach himself. The Aria appeared in Anna Magdalena’s notebook, the book of practice pieces that Bach had copied out for his second wife to play. 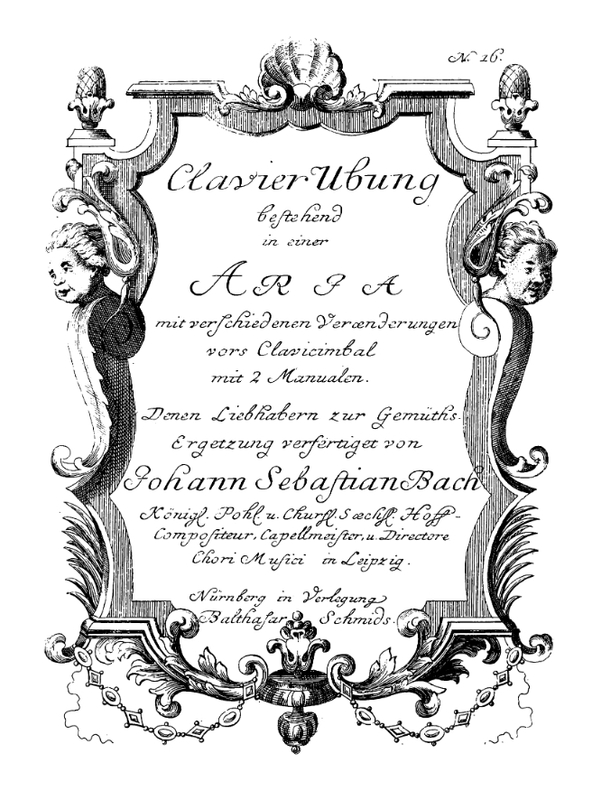 Decades ago we all assumed the themes were written by Bach, but as musicology advances, we found out that more and more were written by other people, including the theme on the Aria, on which the Goldberg Variations are based on. There’s a 32 measure theme. You start the piece with the theme, then you play all the variations, and then you play the theme again at the end. There’s thirty variations, so once you’ve played the theme twice, there are 32 sections. The variations are grouped in ten groups of three. Each one starts with kind of a character piece of a different kind, a fugue, French Overture, etc., the second is a virtuosic etude, and the third piece each time is a canon – where one voice is echoed exactly by another voice, the first one echoed starting on the same note, the second one two notes apart, etc. Bach often plays numerical games. They are small things such as variation #22 is in cut time, 2/2 time. Variation #24, which is eight times three, is in 9/8 time, which is 3 groups of 3 eighth notes. Erik: Do you have an idea of why Bach would play these numerical games? Rachel: I’m not entirely sure. It’s something that you see show up in a lot of composers throughout the years. You see that in Schuman’s music, and Schoenberg used extensive numerology as well. I think in many ways that because the Goldberg Variations is such an enormous piece, that he uses numerology as one of the ways to draw things together. Erik: As a matter of constructing? Rachel: Yes, exactly. And it’s a work that yields more and more the longer you study and play it. To put it in much more crass contemporary terms, it’s like the Easter eggs they put in video games, that if you spend enough time with the game, you discover these little secrets. Bach’s work is often being described as mathematical. Beside the deep and profound emotions and spirituality, there is this numerical correlation in the way the different parts have been put together. I suppose in some ways it is because of the profound spirituality, because people who are really into mathematics would argue that that is the way of finding God, kind of explaining how the universe works, showing the beauty of the construction of it. Erik: Neat. Is this something you would want to talk about at the concert? Rachel: Sure, I would be happy to. I think the structure is very important for people listening to the piece. It is so long and you can easily get lost in it unless you’ve got some signposts. And I think that’s part of what it is for, a way of drawing a path of connections to cycle through. Erik: Where does the name Goldberg come from? Rachel: Goldberg was a harpsichordist and one of Bach’s son’s students. He worked for a Russian Diplomat living in Leipzig, who suffered from a neurological condition that would give him an excruciating pain. He would lie awake at night, couldn’t sleep, and the story goes that he asked Bach for a work for this exceptional harpsichordist, to help him through these sleepless nights. It’s interesting because people talk about if these pieces would put you to sleep, but it’s actually the opposite, it’s something that would keep him engaged, and to keep his brain off the pain he was suffering, helping him escape these endless nights in which he can’t sleep. Erik: Sounds like you have extensively researched the context in which this piece was composed as well. Rachel: Yes, I have, and over a long period of time. I wrote a paper about it when I was eighteen. It was a piece that obsessed me for a very long period of time. Erik: At another level, the various variations are also simply really beautiful tunes. Rachel: It is a stunningly beautiful work. Erik: This background research regarding numerology is highly interesting, and it must be fascinating to find these hidden layers. When you work on the piece, do you feel a need to incorporate those findings, or are they things you accept for what they are, and you focus mostly on playing the beautiful melodies? Rachel: In a piece of this scale I find it important for all sorts of reasons to find the connections between the different sections. In part it’s just for remembering where you are going. But it’s also musically richer if there’s a relationship between the different sections, as opposed to each of these sections existing on their own beauty. All variations are structured on the same theme. Erik: Can we take the story back to the early beginnings of your own playing: when did you start with playing the piano? Rachel: I started to play the piano when I was four. My mother always had wanted to learn to play the piano. She had taken some lessons for a little while, when she was a teenager, which she paid for herself by washing her piano teacher’s kitchen floor. But when she finished her piano book, she needed a new one, but she couldn’t really afford it, so that was the end of the piano lessons. She taught herself to play by ear. But the moment when I showed some interest in music, she made sure that I got lessons, and I was encouraged all along the way. I actually recall as a very young child, that I got the words magician and musician mixed up. I thought they were the same thing. And when someone asked me what I wanted to do when I grew up, I would say that I wanted to be a musician and I was thinking about Doug Henning, the Canadian magician. My mother took that and completely ran with it, and I never really looked back. In many ways what we do, as musicians, we are making magic. Rachel: So I started young. I got into an enriched music program at Mount Royal College, in Calgary. This conservatory has since then developed into quite a famous program, and where Yuja Wang studied when she first moved to North America. Erik: So at what point did you move to Vancouver? Rachel: Well, I did a lot of studies and traveled quite a bit before I ended up here. I did my undergrad in Victoria and studied with Dr. Wood. I have a lot of really fond memories of Victoria, and I am going to dedicate this concert to Dr. Wood. In Victoria he hardly needs any kind of introduction, his legacy is still pretty strong there. Studying with Dr. Wood was an incredible opportunity. From there I studied in East-Berlin for a couple of years, came back to Victoria and did the teacher training program at the Conservatory. From there I went to the US and studied at Indiana University. Then I did a year in Banff, and then came to UBC to do my doctorate. That’s where we met. Erik: Yes, that’s right. That’s a substantial amount of studies. Rachel: I really enjoyed studying. I stayed with it as long as I could. I loved it right up until I started working on my dissertation, and then I was ready to be done. Erik: And now, what do your days look like? You are working for Queer Arts Festival in Vancouver, right? Rachel: Yes, it’s a multidisciplinary festival. Everything from curated visual arts, music, dance, theatre, as well as crazy multidisciplinary genres that we don’t really have names for yet. Erik: Does that take up a substantial part of your daytime? Rachel: It does, I am trying to step back from it a little bit right now. I was acting artistic director last year and it pretty much took over my life, but now I am trying to get back to the piano. I am still there several days a week, training and showing people the ropes. But my hope is that in a few months I will be able to take some time off and to just focus on the piano again. It’s interesting for me to come to the Goldbergs again also because my career has been built mostly on contemporary music. That’s where I made my name, that’s the genre that I am most known for. Erik: Is contemporary music also the genre where you spent most of your time studying, or did it gradually lead to that? Rachel: No, it gradually lead to it. From a very young age I like the contemporary music. And my playing contemporary music often gotten the strongest response. It’s kind of the opposite for what many performers describe, that the contemporary piece on their program is the one that people don’t like or complain about, but for me, very often, when I play mixed programs, it is the contemporary pieces that people tend to gravitate to. But I have always had a great love of the classics. Beethoven and Bach, Brahms and Schumann and Debussy have been really central to my building as a musician. Now that I have become a little bit more established, I’m enjoying the possibility of exploring that a little bit more. Not necessarily the music that people think they want to hire me for but also other music that I am passionate about, and that I want to play. As someone who most often plays contemporary composers it’s kind of a fascinating journey back to playing a work where I just can’t email the composer every time I have a question. Erik: So how does that feel, that you can’t email Bach, how do you deal with it? Rachel: Well, it made me think a lot about the thing we do, as classical musicians. When I play contemporary works, I often think about it as a collaboration. As a composer and performer, we each have our role, but there’s an element of back and forth, just like in chamber music. We each bring our own thing to it. When I play a new work, I play it for the composer, and we talk about it, it feels like a collaboration. Playing a work like the Goldbergs, when obviously I can’t contact Bach and ask him why he was doing this thing, or if he like the particular thing that I am doing or whether I should try this another way, essentially I am collaborating with a ghost. So it makes me think about the kind of relationships we have with the people we love in our life and who’ve died. We always have these questions about these things we want to do justice for them, we want to do them proud, if we do something that would have been important to them, we would want to do this in a respectful way, respectful to their wishes. But we can’t ask them these questions anymore. We have these one-sided conversations where we imagine what they might answer back, but we never really know. Erik: Well, thank you for discussing this with me, and I am personally really interested hearing your interpretation of the Goldberg Variations, especially after hearing your insights, and we look forward to seeing you here on April 19th.